When we want a new bowl we head to the shop and buy one. If it breaks, we simply replace it. Just imagine if we had to do what the Vikings living in Shetland had to do – carve a new bowl out of the rocks! 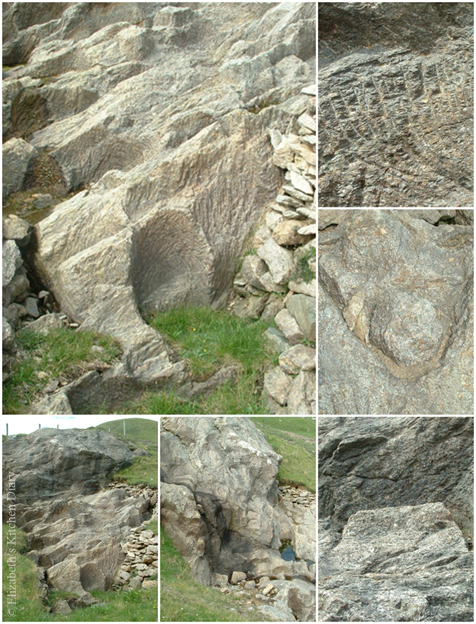 Shetland is home to the largest steatite (soapstone) quarry in Britain: Catpund Quarry in Cunningsburgh. Soapstone is soft enough to be carved and Viking and Norse inhabitants in the area (late 8th early 9th century) used this area to carve out bowls, fishing weights and lamps. Catpund is not signposted, so unless you know about it in advance and know where you’re going you’ll not find it easily. Bizarrely enough when you get there an old weathered sign by the Amenity Trust explains what you’re looking at. You can get directions from the Amenity Trust Heritage Tour brochure. Park in the lay by, hop over the fence and follow the burn up. There’s one bit where you need to cross over a barbed wire fence – previous explorers have bent the sharp ends under, but for short-legged folk like me it’s a bit iffy! It’s been 12 years since I was last at this site (where has the time gone?!) and the landscape has changed. Shetland is built out of rock with a layer of peat over the top and so some areas are prone to landslides when a dry summer spell is followed by heavy rain. 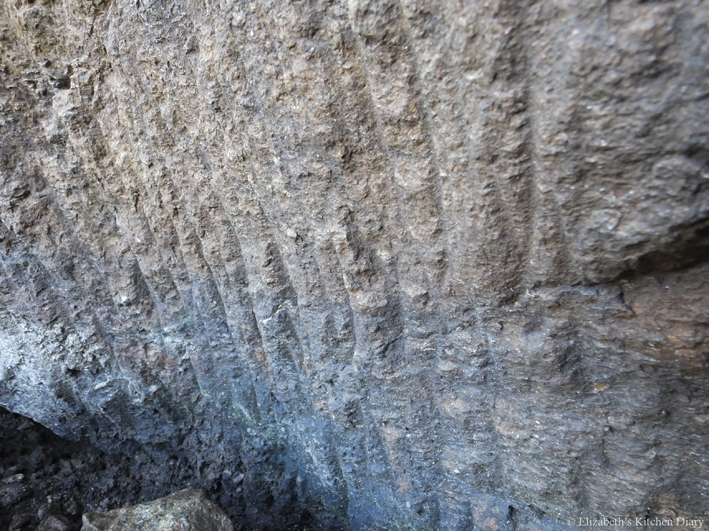 The peat layer just slides down over the surface of the rock. 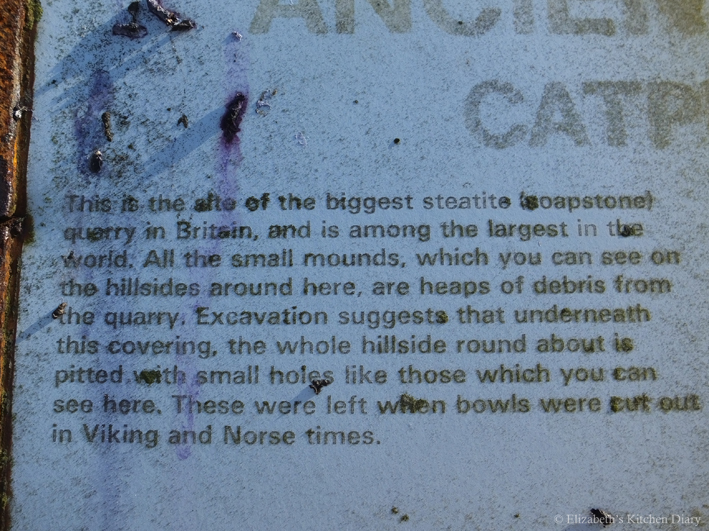 This happened some years ago, covering up areas we’d become familiar with at Catpund and exposing new ones. We took the children there recently for a look-see. 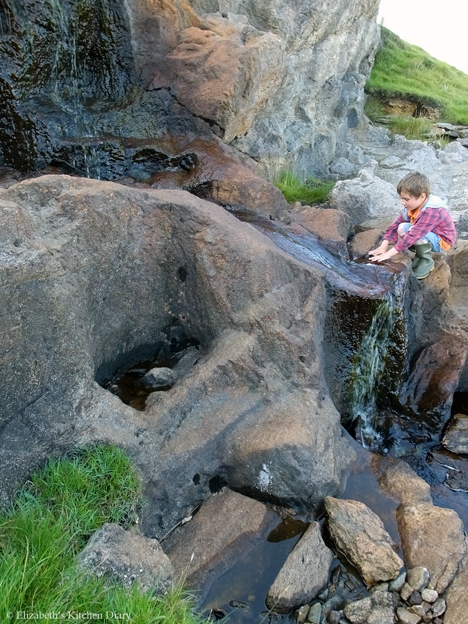 The youngest was more interested in the running water down the burn and throwing rabbit bones into the pools! For this week’s Alphabet Photography Challenge by PODcast, Q is for Quarry. I’ve no idea how long it took, but I suspect it wasn’t a quick procedure! Imagine the frustration if it broke just at the end as it was being lifted off… ooooh! Ahhh…how amazing. I loved seeing things like this when I was there…the whole idea of peat was brand new to me, which was amazing! Same here – peat to me before was something you bought in bags for your garden! I’ve quite a fondness for it now. I really do hope you visit one day – it would be lovely to meet you in person 🙂 I am so glad you enjoy my ramblings! I forget how lucky we are to be able to go and buy something without really thinking about it. It would be lovely to have a stone carved bowl though. Something to try one day! It looks like such a magical and interesting place, I’d love to explore too! It really is – you should visit one day!